Join a Bowling League at Rab’s! Whether you’re a novice or a pro, there’s a league for you! Bowling is the #1 participation sport in the United States with more than 67 million people bowling annually! Get in the game for a lifetime of memories. Why? Camaraderie – Typically, you’ll find the word “camaraderie” thrown around in team sports, particularly hockey. People past their primes play the games so they can re-live the locker-room banter and hilarity. Bowling is no different (except it all happens on the lanes rather than a stinky locker room). Bowling leagues, especially with your friends (or strangers who will become your friends), are great ways to spend a few hours a week. Fun – Bowling is fun. Whether league bowling or not, it’s fun to bowl. Joining a league keeps you accountable to yourself – you’re going to bowl at least once a week. Fitness – You can get fit by bowling? Common perception and stereotypes would suggest you can’t. And if bowling once a week is the only bit of exercise you get, then don’t expect a sculpted physique by the end of the season. 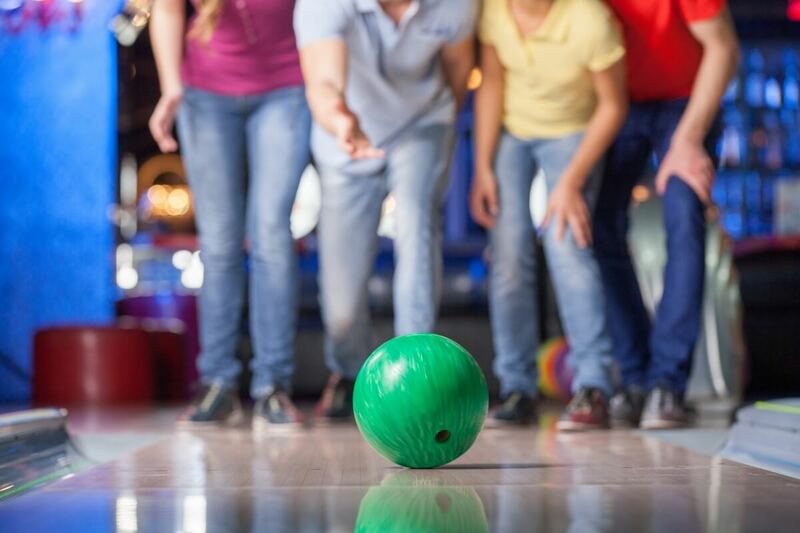 Still, repeatedly hurling a heavy sphere requires strength and endurance, and you can burn a significant number of calories bowling… In fact, Bowling uses 134 muscles and 3 games of bowling = 1 mile of walking! Relaxation – Bowling can give you a nice respite from the workday or work week. Show up, relax, throw a few frames, and have fun. Status –“Yeah. I bowl.” You’ll be amazed by how many people are impressed when they find out you bowl in a league. Bowling in a league has its perks too! League members get rewarded with Rab’s Rewards! Earn 15% cash every time you visit Rab’s for open play just by showing your Rab’s Rewards card! Interested in joining a league? Let us learn some more about you to get you on the lanes! CLICK HERE TO SIGN UP FOR A LEAGUE!